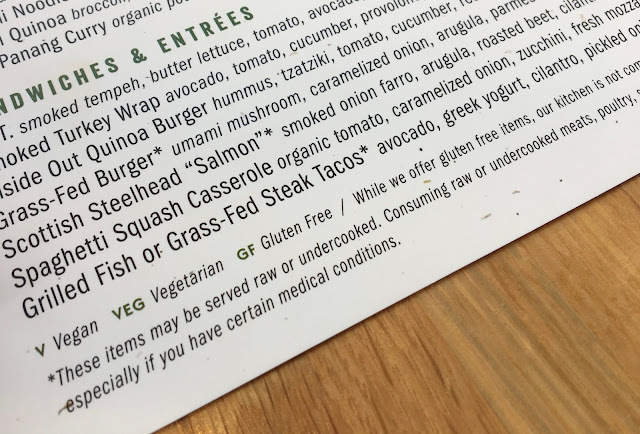 The menu is extensive and markets to indicate gluten-free, vegan, and vegetarian options. Gluten-free options are available in most of the categories, minus sandwiches and flatbreads. The menus note that the kitchen is not dedicated gluten-free, but when I let my waitress know she said she would inform the kitchen so that they would take extra precaution. 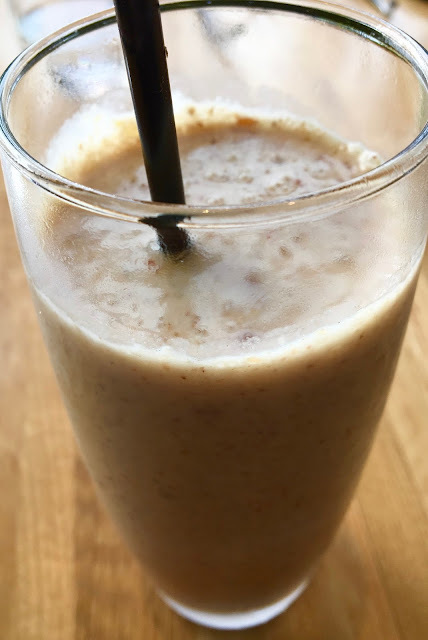 As a starter, I ordered the banana and date smoothie, which is made with those two fruits plus almond milk, almond butter, and flax seeds. The smoothie was thick and creamy, fruity and nutty in equal measure. It wasn't overly sweet like smoothie shop blends can be, and I definitely liked how it packed protein and fiber. My only complaint was that it probably needed a slightly bigger straw because chunks of ice got stuck in the opening. I ordered the Mediterranean quinoa salad, which came with cucumbers, olives, mushroom, peppadew peppers, almonds, cherry tomatoes, pole beans, almond and oregano vinaigrette. To make the salad dairy-free I requested to omit feta cheese. 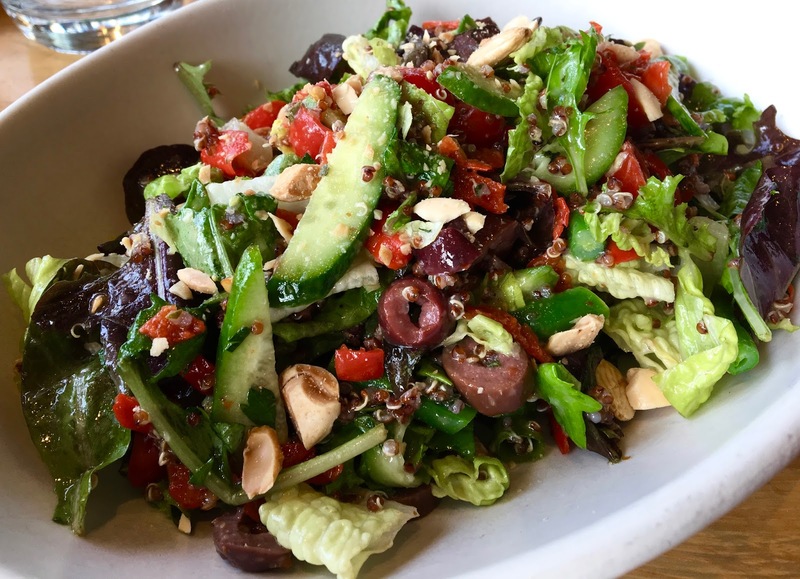 The flavors of the salad were vibrant and fresh. The salad was the perfect antidote to a week of heavy eating, and was a much-needed infusion of real veggies. The portioning was ample and definitely satisfying without any added side dishes. 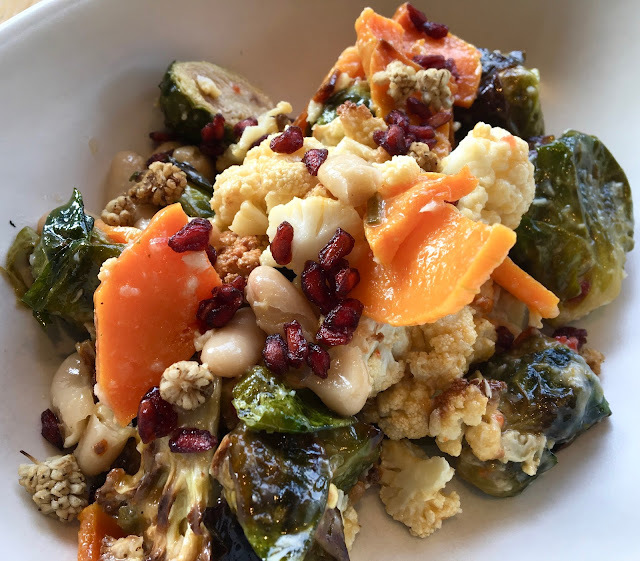 My mom ordered the seasonal ingredient salad, which featured brussels sprouts, butternut squash, cauliflower, white beans, pomegranate seeds, toasted mulberry, and horseradish vinaigrette. It is gluten-free and vegan without modifications. She liked the blend of fall flavors and the vibrant flavors. True Food Kitchen definitely surpassed my exceptions and is a place I definitely will seek out when traveling. I was super excited to see that Bethesda will be getting a location soon, which means I will definitely be getting another fix of their fare in the future. As I looked at neighboring tables' orders, I wished that there was a way to taste around the menu because every dish looked and smelled incredible. 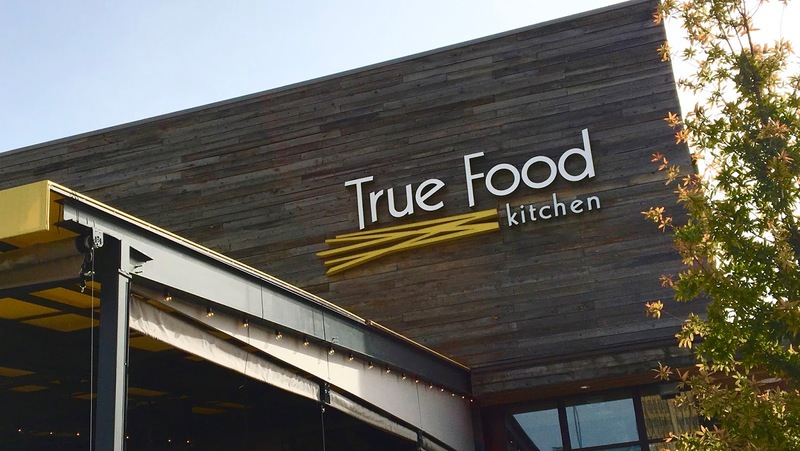 It was amazing how True Food Kitchen turned fruits and veggies into works of edible art. Although the food was delicious, it was not too expensive, a refreshing change of pace from other restaurants that would charge a premium for this type of fare. Nice post, your review is so useful to me, thank you! Good post, love your sharing so much!